For the last twenty-five years, companies around the world have recognized Ukraine as an IT outsourcing partner. The Ukrainian government has taken steps to make it easier for foreign companies to do business in Ukraine. While some have expressed concern over political instability and the downturn in the economy over the last year, Ukraine’s outsourcing revenue has continued to increase, as it has grown annually for the last decade. 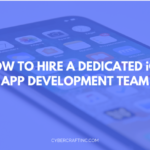 Companies such as Apple, Microsoft, Deutsche Bank, eBay, UBS Bank, Corel, IBM, Motorola, MySQL, Skype, BOSCH and TDK have all chosen Ukraine IT outsourcing options. These companies have sought to take advantage of the vast numbers of IT professionals in Ukraine and realize cost savings for software development, support and maintenance while still receiving the highest quality service and products. 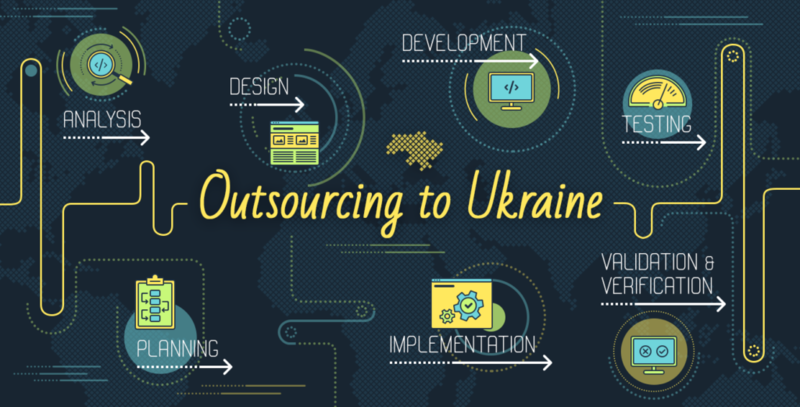 These are the advantages that Ukrainian outsourcing can provide to any company. Ukraine’s endeavor to IT outsourcing growth guarantees that it will remain a major player in the market; due to the country’s commitment to offering high levels of technical expertise coupled with competitive costs it will continue to be a source of cost-effective IT labor. The Ukrainian government has passed multiple pieces of legislation since 2007 that have streamlined the IT industry and opened the door of opportunity wider for companies that seek Ukrainian outsourcing. Included in these changes is a law that annuls the VAT for Ukrainian IT outsourcing through 2023. 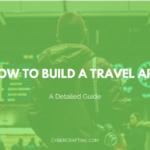 Additionally, greater transparency in the business infrastructure and simplified processes for work permits, franchise agreements and other structural practices have increased the speed at which foreign companies can avail themselves of the benefit of outsourcing and software development in Ukraine. The Ukrainian government has a stake in promoting its IT industry. Ukrainian outsourcing accounted for more than 2% of the nation’s GDP for 2014, with approximately $1.5 billion of business. This figure has increased 30% over the last 3 years, and 10 times over the last decade, despite the global recession of 2009. Ukraine’s wealth of professional IT talent and favorable business climate has fueled these increases, more than neighboring European countries such as Poland, Romania and Hungary. The country’s reputation for proficient and cost-effective software development continues to grow, and it has moved to the top of many lists of nations that offer substantial quality. Bloomberg has listed Ukraine as the 33rd top country for IT outsourcing, higher than Hong Kong, Iceland and Brazil, and its rank continues to rise. Ukraine’s future looks especially bright, given Bloomberg’s 5th place ranking for Ukraine’s postsecondary technology education, and Ukraine’s 10th place ranking for IT patents issued. Ukraine’s growth is fueled by a desire to align itself with the European and American business models. Ukraine continues to make broader reforms to its governmental and business practices that inspire confidence in foreign companies as it moves toward entrance into the European Union. As membership in the EU is still several years into the future, Ukraine represents an even greater value to outsourcing investment due to favorable currency exchange rates and relatively low salaries compared to IT professionals in other countries. The combined desire of the Ukrainian government and the IT industry has generated a potent force that is eager and capable of meeting the technology demands of the global economy. IT professionals in Ukraine earn much more than the average national salary, making it a desirable profession, and they understand the dynamics of working internationally, including English fluency and familiarity with European and American employment practices. This motivated and talented workforce represents substantial value for foreign investment. In conclusion, Ukrainian IT outsourcing is a recognized value, and many foreign companies have taken advantage of Ukrainian technological prowess. Establishing professional relationships while the country is still growing quickly represents an opportunity to secure cost savings and access to the rich pool of talent that the country offers before prices begin to rise. Ukrainian IT outsourcing will continue to be desirable for foreign investment beyond the country’s entrance into the EU, but the value will never be higher than it is now. Wise investors will take advantage of this opportunity, and look to Ukraine for software development and other IT needs now and in the future.